The amount of variables and techniques involved in making hard cider can seem intimidating, but you can learn the essentials to get going and then play around with the specifics as you progress. This homebrewing kit guides you on the path, providing all of the materials you need to begin brewing except the juice of your choice, including an overall guide on the process. It will serve you well for many brews to come, and is currently only $45 for Daily Caller readers. From a glass carboy, to a racking cane, to sanitizer, this kit includes all of the gear you need to get started. All you have to do is select the juice you want and then you’re set to brew a one-gallon batch. The recipe comes with ingredients for up to three batches, so you can experiment with juice types and see where your palette takes off. Great on its own, hard cider is also an underutilized element in cocktails, and has a natural appeal this time of year. 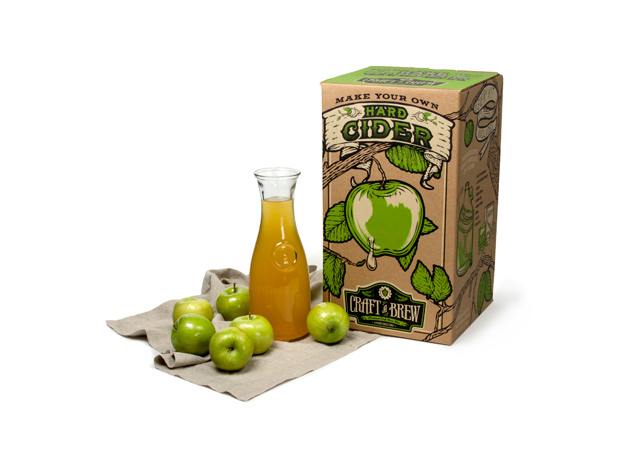 If you’re a fan of hard cider and would like to make your own, purchasing this kit is all that stands in the way. Get it today at the Daily Caller Shop for only $45 out the door.